Aura Advanced Heating Systems- Quiet, Weatherproof and Space Saving. 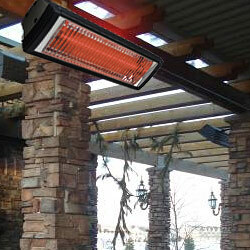 Aura advanced heating systems are engineered to provide heat solutions for your specific requirements,Outdoor wall mount or outdoor portable, Aura heaters will ALWAYS be technologically advanced utilizing radiant, infrared, convection and integrated technologies to maximize performance and minimize energy consumption. No heavy tanks, light weight portability and highly efficient in converting energy into directional, virtually wind proof comfort heat. Stainless steel with an on/off switch on the post and an updated sleek Euro design.